iRobot Roomba 966 vacuum review: does it really work? You may have cottoned on to the fact that I’m a bit obsessed with vacuuming (or rather being aware that our home needs to be vacuumed and constantly moaning about the fact that I am the only one who sees that fact). I have had a cleaner since I bought my first flat and have always seen it as a good investment – a proper weekly clean really does help to keep a property in a good state. My lovely cleaner has been with me for the last six years or so and she saw the gradual decline of the cleanliness levels of the flat we have just moved out of with the arrival of Otto five years ago and now Mimi. She likes to remind me on an almost weekly basis how nice my flat was before we welcomed a particularly hairy dog who gets covered in mud most days and a baby who is an expert mess maker. Fair enough, to be honest, as the difference was pretty huge. So, our main issue is keeping the floor clean and hair/dust/mud free. It’s basically an hourly battle with a golden retriever and a hard floor and that really isn’t an exaggeration. I’m sorry if I’m sounding slightly insane but I’m not talking about a few specks of dirt, I’m talking about tumbleweeds of dog hair rolling across the floor and the effect of someone brushing off ten walking boots’ worth of dry mud. We currently run on a two vacuum cleaner system – a big corded vacuum that my cleaner uses once a week and a lightweight cordless vacuum that I use a couple of times a day as and when needed to ‘spot clean’. I also have to do a full house vacuum with my cordless and then mop once or twice a week. For me, this is way too much and it’s driving me potty. I’m pretty sure other people aren’t vacuuming every day and mopping every other day…are you?! We are staying with family at the moment whilst our new house is renovated so I decided to try the Roomba there. What does the iRobot do? Let me begin by giving you a brief rundown of what the Roomba actually is and what it can do. 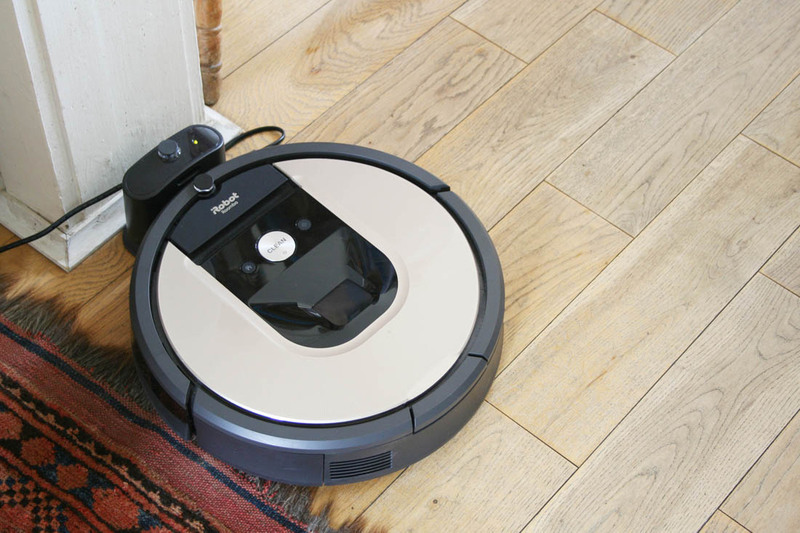 A vacuum robot that uses Smart technology to navigate its way around an entire level of your home cleaning as it goes, the Roomba can vacuum anytime, anywhere. The Roomba 966 model (one down from the top of the range model) can run for up to 75 minutes and can clean any floor surface. It will automatically return to its charging dock to recharge and then resume the job until it is done. It cleverly maps out your home using sensors and knows exactly where it has been and where it needs to go, as well as detecting dirt when it comes across it, and you can use an app on your phone to start the Roomba as well schedule regular cleaning jobs. Well, this all sounds amazing in theory but what about the reality? The Roomba automatically returns ‘home’ to its small charging dock when it has run out of charge and then resumes its cleaning job. You could keep the charging dock under a piece of furniture like a cabinet, which would make storing the Roomba very discrete. What does the iRobot do well? 1. It cleans really well. If you are able to give your Roomba enough time and space (in my opinion it really isn’t meant for homes with loads of clutter and stuff all over the floor) it will slowly but surely do as good a clean as a conventional vacuum. It definitely takes longer than a ten minute blast of the vacuum and doesn’t give instant results so it needs a full run to show what it can do. 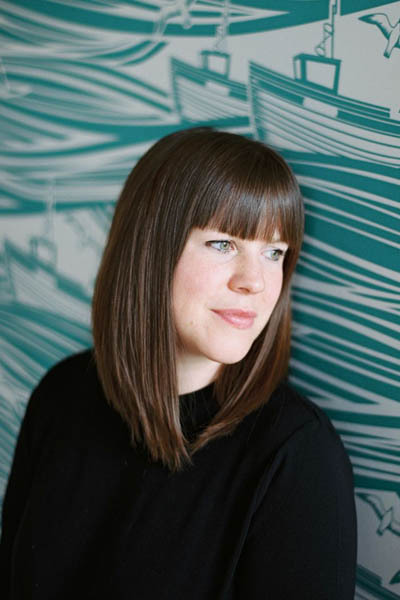 I would say that you need to be organised about the way you use it; schedule regular cleans using the app that it connects to and if you have a house make sure it gets moved between the levels regularly. I think of it as a maintenance tool not a quick fix; if you schedule it to clean every day it does the amount of vacuuming I wish I had the time and energy for so that my home never gets to the point where it looks and feels like it needs a really good vacuum – does that make sense? Basically it maintains a good level of cleanliness and collects the dirt that you don’t even know is there and this is where its real value lies. 2. It navigates its way around furniture very effectively. Sometimes I like to just sit and watch my Roomba and how clever it is, to be honest! The Smart technology maps the Roomba’s route and over time it learns the layout of your home as well as the obstacles so it becomes more and more efficient. It can make its way around the legs of furniture, as well as going under furniture if it can fit (it is very slim). It cleans edges and around corners and it will ‘spot clean’ if it detects a problem area so it goes over and over the same spot until it is clean. However, there are always spots that it can’t get to for example, behind doors, the dust that collects around cables, around piles of clutter etc. 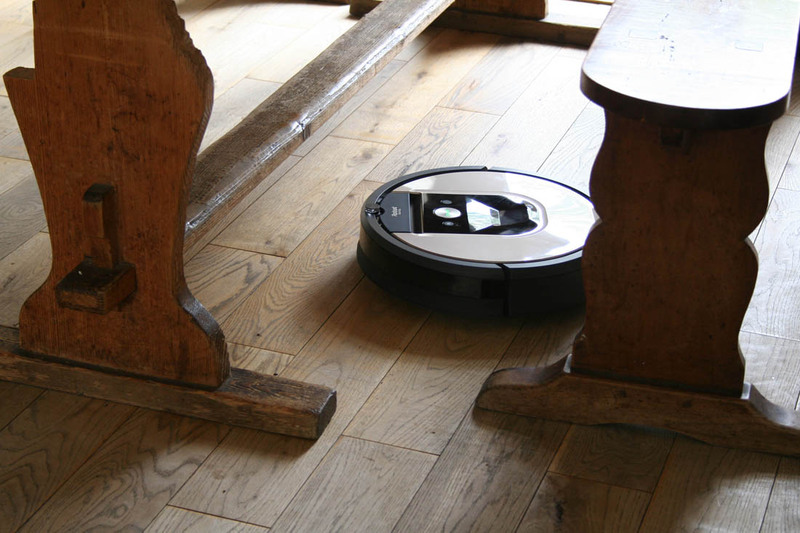 The Roomba learns its route around your home and navigates furniture so effectively. It can clean around the feet and legs of furniture and fit underneath pieces but make sure there is no way it will get stuck. 3. 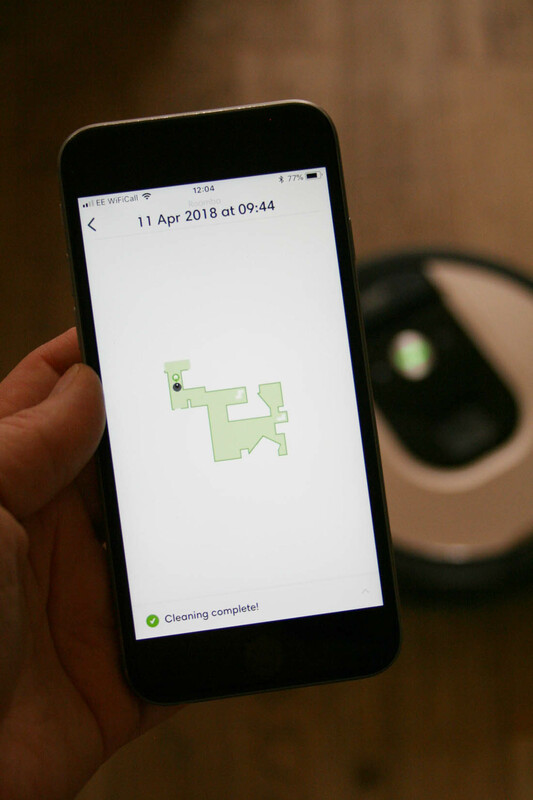 The app that connects to the vacuum is brilliant – it gives a really clear record of where the Roomba has cleaned and how long it has cleaned for. 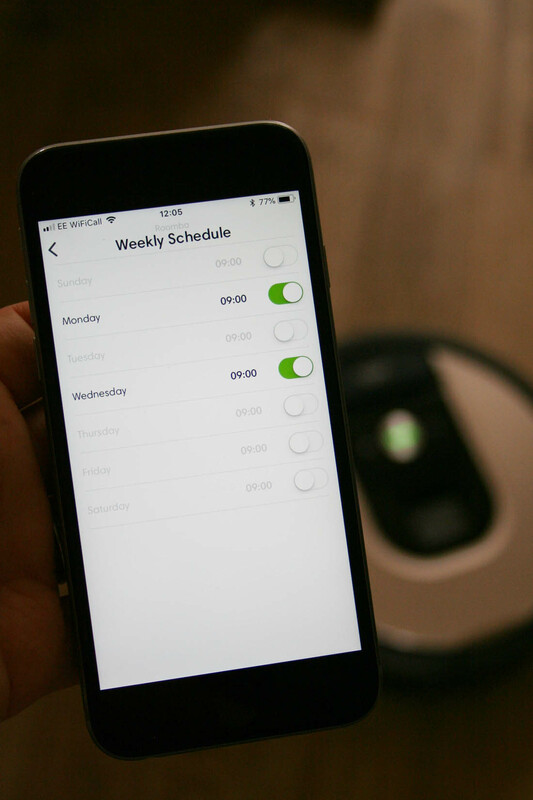 You can set the Roomba to clean at specific times on specific days or set up a regular cleaning schedule so you don’t even have to think about. However, it can get a little disconcerting when you get an alert on your phone whilst you’re out that the Roomba has got “stuck near a cliff” or “help, I’m stuck!” – ha! As I said, you do need to make sure that there aren’t little bits everywhere (toys, for example) if you want the Roomba to do an effective clean. We had a tipi tent set up for Mimi that was full of her toys and the Roomba kept on going in there and getting wound up in all her pull along toys so we learnt that we needed to make that a no go zone. 4. You can set up an invisible boundary line with a ‘virtual wall barrier’, which was the perfect solution to the tipi tent issue. This is an accessory (you get one with the Roomba but you can order more if you need them) that has two modes: Virtual Wall Mode keeps your robot in the rooms you want cleaned and out of the ones you don’t and Halo Mode keeps your robot away from items you want to protect. All you have to do is position the virtual wall barrier in front of the object you are protecting or at a doorway if you want to keep the Roomba in one particular room. One thing to note is that the Roomba will not fall down stairs; it detects the stairs as it approaches them and will turn around when it needs to. Therefore, you do not need to worry about that if you leave the Roomba to clean by itself. The virtual wall barrier can either mark a straight line that you don’t want the Roomba to cross or create a halo around an object you don’t want it to go near. 5. I was particularly impressed at how well the Roomba travels from one surface to another. There are lots of rugs on hard floor where we are staying and that will be the same case in our new house so I was worried that the Roomba would get stuck every time it came across a rug. However, it travels seamlessly between carpet, rug and hard floor, which is really important if you want to leave it to clean whilst you are out. Also, you don’t have to mess around with different settings for different types of flooring; it will clean any floor type as well as the next. 6. One thing that frustrates me about my cordless vacuum is how short the battery life is but this is definitely not an issue with the Roomba. It will clean for up to 75 minutes and it will charge itself when the battery does run out. 75 minutes of non-stop cleaning is a very thorough clean but depending how dirty your floors are you will probably have to empty the cartridge where the dust collects during that time. The Roomba will also dock itself by going ‘home’ when it has run out of battery and carry on its clean once it has charged. What does the iRobot not do well? 1. It is noisier than I expected it to be. I don’t know why, but I had the idea that it would be super quiet and I could have it on whilst I was doing other stuff and not be disturbed by the noise. However, it is pretty noisy – quieter than conventional vacuums – but definitely not something you could have running in the background whilst you watch TV in the evening. 2. If it gets trapped whilst you’re out you won’t be able to rescue it so the clean stops, which can be frustrating. It is really important to learn the obstacles in your home and make sure those are clear so that you can avoid it getting trapped at all. 3. The cartridge where the dust collects is pretty small so in our home it always needs emptying after about 40 minutes so we can’t just set it off to clean all day when we’re out. 4. 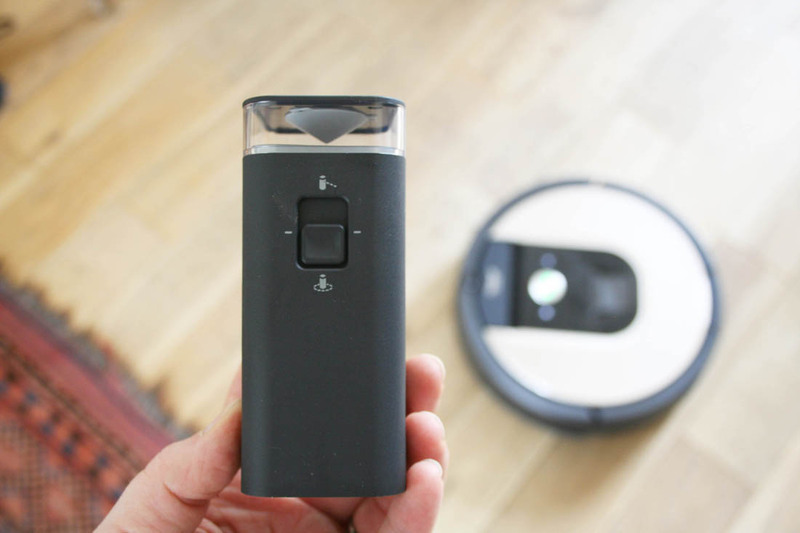 The Roomba can’t do stairs, skirting boards or tricky spots around clutter so I think I would always want to do one clean a week with my conventional vacuum for those spots. Plus, there are times when there are spillages or you need to get rid of dirt really quickly so my cordless cleaner is best for that. Otto hiding from the Roomba as he knows it turns around as soon as it reaches the stairs – ha! 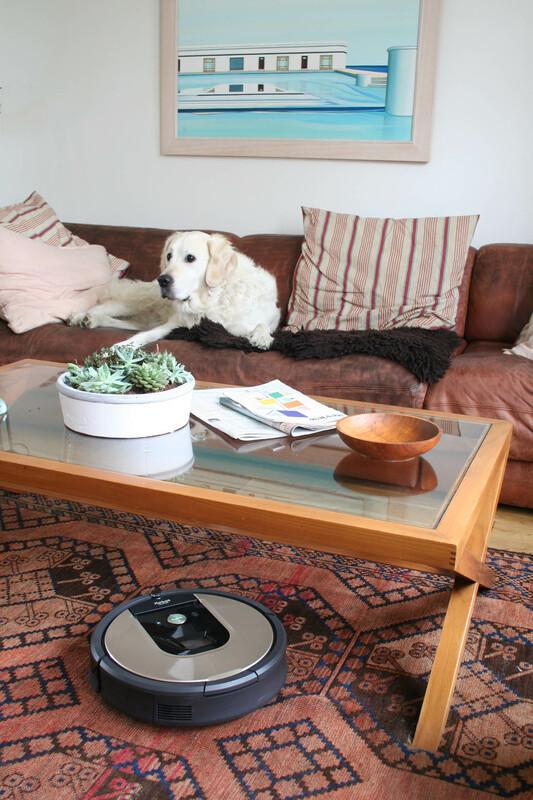 In summary, I am really impressed by how thorough the Roomba is if you take the time to set up a regular schedule for it to clean and ensure that it is not going to get stuck around loads of clutter. I am also delighted that the regular maintenance of keeping our floors clean no longer falls on my shoulders and that the floors never get to that stage anymore where they look horrifically dirty. 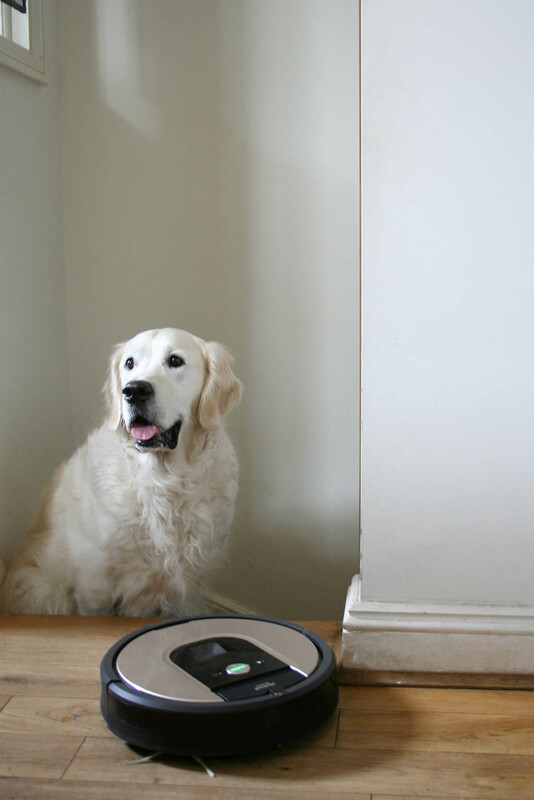 It is completely ideal for a pet owner like me as the Roomba is so effective at picking up pet hair every day so it never builds up into a horrid mess. Could I keep the floors clean with the Roomba alone? In short, no. I do think we need a cordless vacuum as well as the Roomba for spillages that we need to quickly get rid of, the stairs and to get into corners where there is clutter. Can I get rid of our massive conventional vacuum? Yes! To be able to hand over the main bulk of vacuuming to the Roomba is just wonderful and makes it 100% worth the money in my opinion (if cleanliness is important to you). I can’t wait to set it up in our new house once we move in as the downstairs is going to be all open plan and we will have carpet upstairs so I’m thinking it’s going to have a lot of cleaning on its hands! Do ask me any questions I haven’t answered for you in the post. Just pop them in the comments below. *This post was written in collaboration with iRobot. I would love one of these vacuums, as I have a dog and long haired cats to clean up after. Unfortunately the cost is fairly prohibitive, particularly when I go through vacuum cleaners at the rate of 1 a year.